Are you looking to be a part of the growing logistics industry in this country? If you are, then you will need to call the leading supplier of CPC training Portsmouth has to offer, Wayside Transport, today on 01202 873 911. We have many years of experience to offer you at very competitive prices, so you can achieve your driver’s Certificate of Professional Competence in a safe and efficient way. 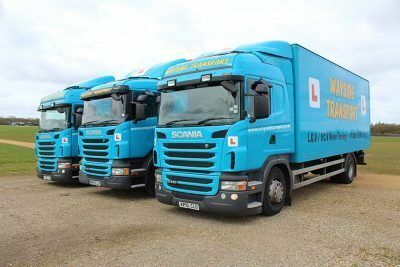 When it comes to being a professional driver in the haulage or passenger transport sectors of the world of logistics, you will need to ensure you have completed CPC training Portsmouth. The Certificate of Professional Competence qualifies you to start or continue as an employed professional driver. Which course you need to complete depends on your requirements and whether you are previously completed any courses in the same category. The initial CPC training in Portsmouth only needs to be completed if you passed your car test after September 2009. If you passed your car test before January 1997 and have “Grandfather” rights for a C1 vehicle, you do not need to do this. If you passed your Category C1, C or C+E test before September 2009, you do not need to do this. Driving with an invalid licence can incur fines, penalty points, and even imprisonment, so make sure you take advantage of our competitively priced Portsmouth CPC training courses and stay one step ahead. If you are driving for your own personal use, such as using a horse box, then you do not need to complete CPC training and the legislation does not apply to you. Why Choose Us for CPC Training in Portsmouth? Here at Wayside Transport, we understand that good drivers are always in demand, whether it is LGV, HGV, or PCV. In light of this, we make sure that we are consistently striving to provide the most superior services and CPC training Portsmouth can offer. Our results-driven training is very accessible, and this means that our instructors will remain patient, supportive, and informative throughout the training, from start to finish. We have a proven track record of excellence and a very high first-time pass rate. You will receive a combination of practical experience and classroom knowledge within our training courses so that you can be an asset to Britain’s roads. If you would like to know more about Portsmouth CPC training, any of our other exceptional courses, or about Wayside Transport itself, call our friendly team today on 01202 873 911. Alternatively, you can contact us via email by sending filling in the online form located within our easily navigable website – we will endeavour to reply quickly and comprehensively to any enquiries or requests.